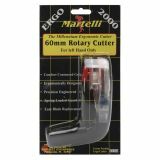 Ergo 2000 Rotary Cutter - MARTELLI-Ergo 2000 Rotary Cutter. This left-hand cutter fits naturally into your hand position, features superb maneuverability, requires less pressure to cut, has an automatic release guard and is perfect for hands with arthritis, carpel tunnel syndrome, tendonitis and hand fatigue and an easily replaced 60mm blade. 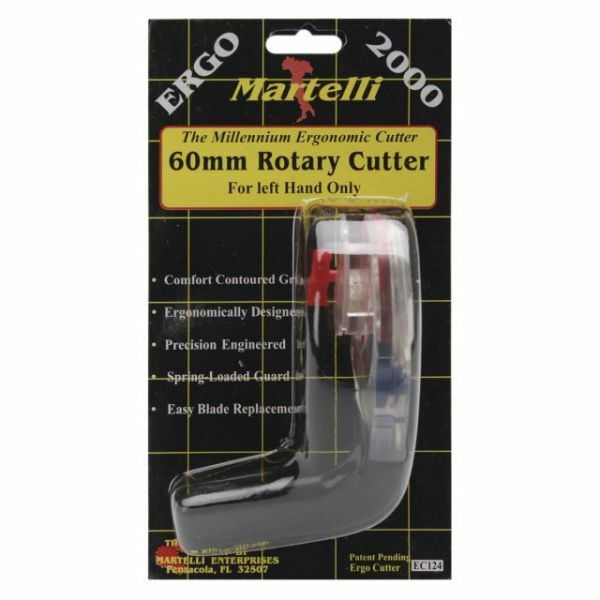 Rotary cutter measures approximately 2-1/8x4-1/2x3-1/4in. Imported.